Intrusion prevention systems (IPS), also known as intrusion detection and prevention system (IDPS), is the network security module that monitor network activities for malicious activity. The main functions of intrusion prevention systems are to identify malicious activity, log information about this activity, attempt to block/stop it, and report it. WebRoam UTM IPS/IDS is a network security/threat prevention technology that examines network traffic flows to detect and prevent vulnerability exploits. Intrusion prevention systems are considered extensions of IDS. It can also correct Cyclic Redundancy Check (CRC) errors, unfragment packet streams, prevent TCP sequencing issues, and clean up unwanted transport and network layer options. It protects against targeted attacks, sophisticated malware, and application and OS vulnerabilities. WebRoam UTM Intrusion Prevention System is designed to stop constantly evolving threats before they impact your business. This means providing both high levels of protection and performance, while lowering the overall cost and complexity associated with deploying and managing a large number of point solutions. WebRoam UTM IPS stops attacks at the source of the threat and can proactively protect against future threats and vulnerabilities. WebRoam UTM IPS utilizes a state-of-the-art high-performance, multi-threaded architecture with virtual sensor technology that scales to protect even the largest enterprise networks. 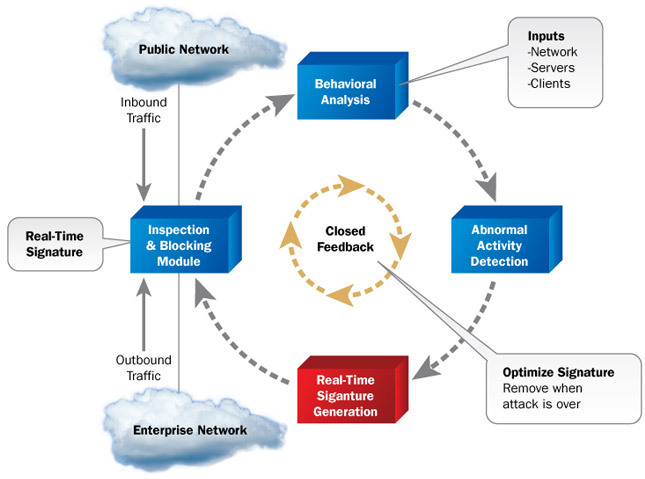 WebRoam UTM Intrusion Prevention System (IPS) technology protects networks from both known and unknown threats, blocking attacks that might otherwise take advantage of network vulnerabilities and unpatched systems. WebRoam UTM understands that your enterprise or service provider network is supporting many different applications, protocols and operating systems at the same time. Custom IPS signatures can be created to extend protection further. For example, you can use custom IPS signatures to protect unusual or specialized applications, or even custom platforms from known and unknown attacks. In addition, custom IPS signatures can be used for specialized network traffic analysis and pattern matching. For example, if your network is experiencing unusual or unwanted traffic, you can create a custom IPS signature to monitor and understand traffic patterns.